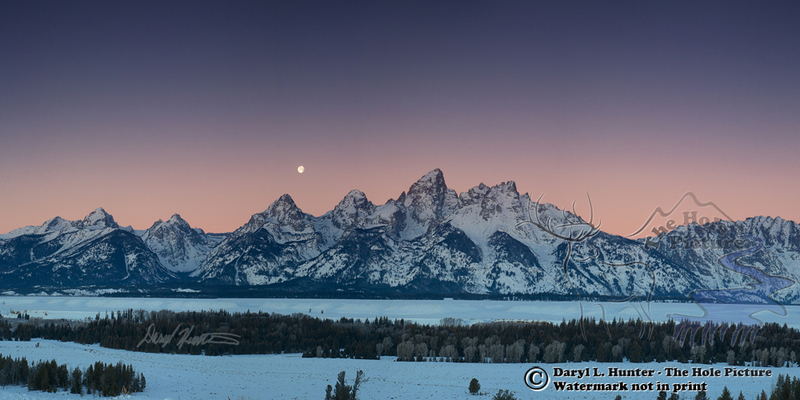 Teton Range Winter Sunrise • Captureing the setting moon over a compositionally pleasing point on the Grand Teton National Park's Teton Range takes a little more planning than most would imagine. From Winter to Summer the moon varies greatly and the best vantage points can vary by twenty miles. We have thirteen opportunities per year to capture the moon setting at sunrise in the Grand Tetons, that is if clouds don't foil the effort. I am lucky to have this hunk of granite only an hour and a half from my home.